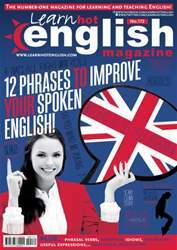 Digital Subscriptions > Learn Hot English > 172 > TOILET STORIES! Think of three things that people could do in a toilet – apart from going to the toilet. 1. What did Jessica check on the toilet? 2. What was Jeff doing when someone flushed the toilet? 3. What did Patricia watch in the toilet? 4. What does Mike sometimes do in the toilet?